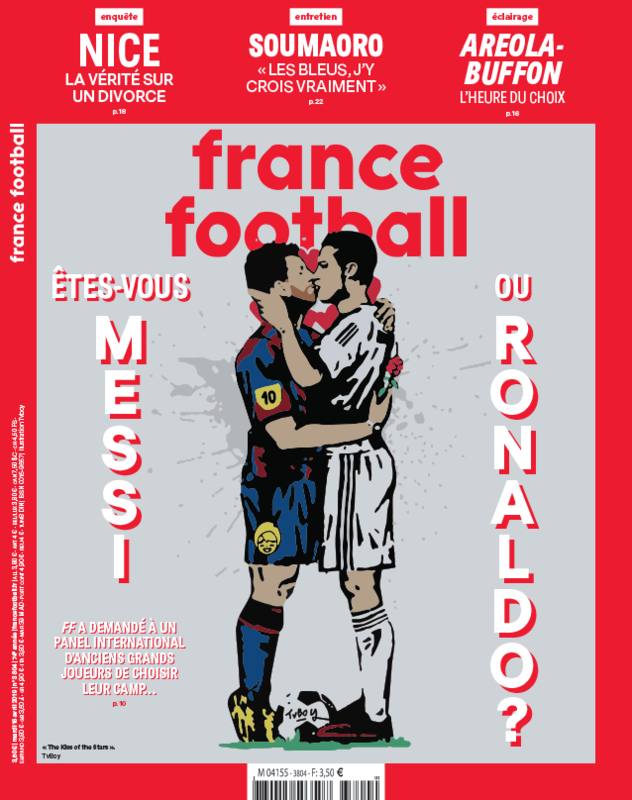 The French newspaper France Football has just released its new issue with the image of Cristiano Ronaldo and Lionel Messi sharing a kiss. It’s been several years since the two five-time winners of the Ballon d’Or are the subject of great debate, that of knowing who is better. France Football has therefore decided to submit its readers and the big stars of football to an exercise that consists of making a choice between the two footballers. A comparative article of the pair is also presented in the edition. The image on the front page of the newspaper belongs to an urban artist, Tvboy, who produced it in Barcelona two years ago. The play is titled “Love is Blind”. 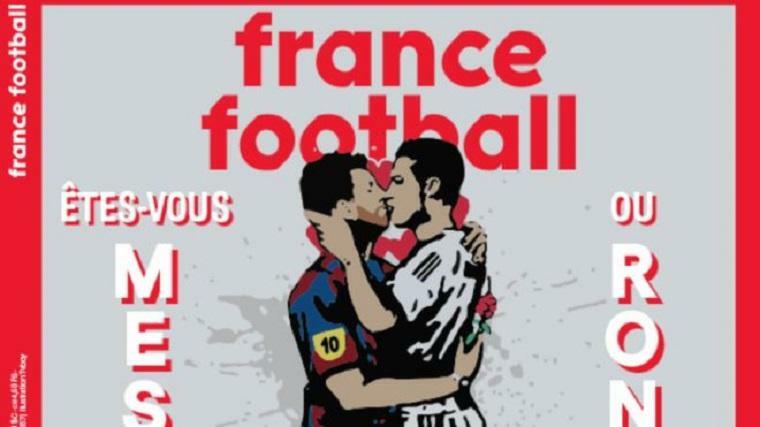 This illustration has been criticized by supporters who accuse the newspaper of disrespect towards the players and their families. Next articleWhy do we cry for love in movies and hate it on social media?